We've seen some noteworthy collaborations this year — some conventional, some unexpected. Naturally, we have some favorites, and one man in particular seems to be a common thread throughout some of 2017's best – transcendent jazz trumpeter/composer Christian Scott aTunde Adjuah. With three albums (collectively known as The Centennial Trilogy) released in the past nine months, his solo efforts alone have been nothing short of amazing. But his partnerships with fellow innovators like Sarah Elizabeth Charles and R+R=NOW have been equally impressive. Apparently, he's not done yet as he recently unveiled a final collaborative project known as The Refined Players. The five-part digital series emerged as the result of another unique pairing between 1800 Tequila and Billboard. Scott was given carte blanche to assemble a supergroup, and the documentary gives us a behind-the-scenes look as he travels to fulfill his creative quest. “This is a group that was put together with the intention of bringing cultures together and taking what was raw and refining it to create a new space,” he explains. 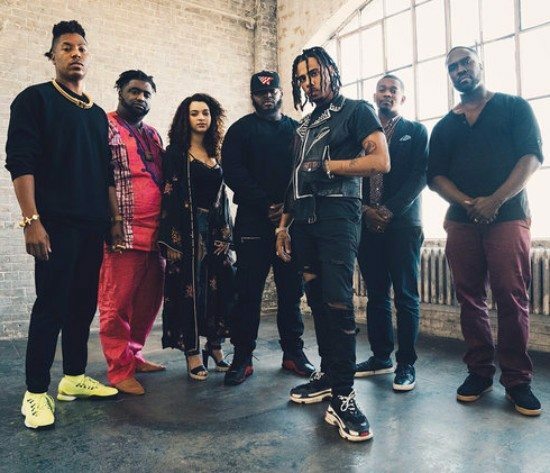 With each episode, we get introduced to the various members of the band that would ultimately create an original song called "Freedom is a Word": keyboardist Joe Harley, flutist Elena Pinderhughes, bassist, composer and producer Derrick Hodge, percussionist Joe Dyson, Djembe drummer Weedie Braimah and the wildcard member, skilled rapper Vic Mensa (who released his studio debut The Autobiography this summer). Before releasing "Freedom is a Word" to the general public earlier this month, the "Refined Players" premiered the song in front of a live audience at the iconic venue Preservation Hall in New Orleans back in October. Expectations are high when you have a collective of this caliber, and the group does not disappoint. Trumpet and flute dance throughout the song, bringing melodic texture to a composition built upon the rhythmic duality of hip-hop and African beats. Meanwhile, hauntingly beautiful synth chords give added dimension to the dramatic intensity of Mensa's lyrics. Listen to "Freedom is a Word" below then scroll down to watch the group bring it to life on stage in the culminating episode "The Work." Purchase the track via iTunes or Bandcamp and visit the Billboard or 1800 Tequila websites to see The Refined Players series in its entirety.